Dudley Mind has two main aims: 1. To support people with mental health distress 2. To promote good mental wellbeing for all Dudley Mind supports the mental health needs of local residents who use our activities to recover. 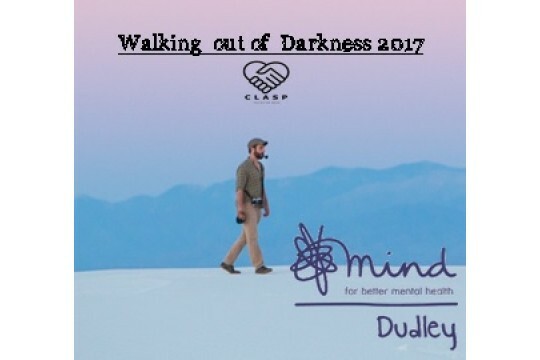 The money raised by people who do the Walk Out of Darkness will support the running of our weekly courses and activities that help people to improve their emotional wellbeing. Help us to increase awareness of mental health, end the stigma and help save lives. The funding raised could help peer support groups with things like: paying for a venue to meet, information resources or equipment, marketing for the group and refreshments. The funding could also help further develop our courses and services so that we can reach out to the wider community within the Dudley borough.